Instant confession: I bloody love Belgian beer. I like it in all its glory, all styles and most of all I like lots of it. 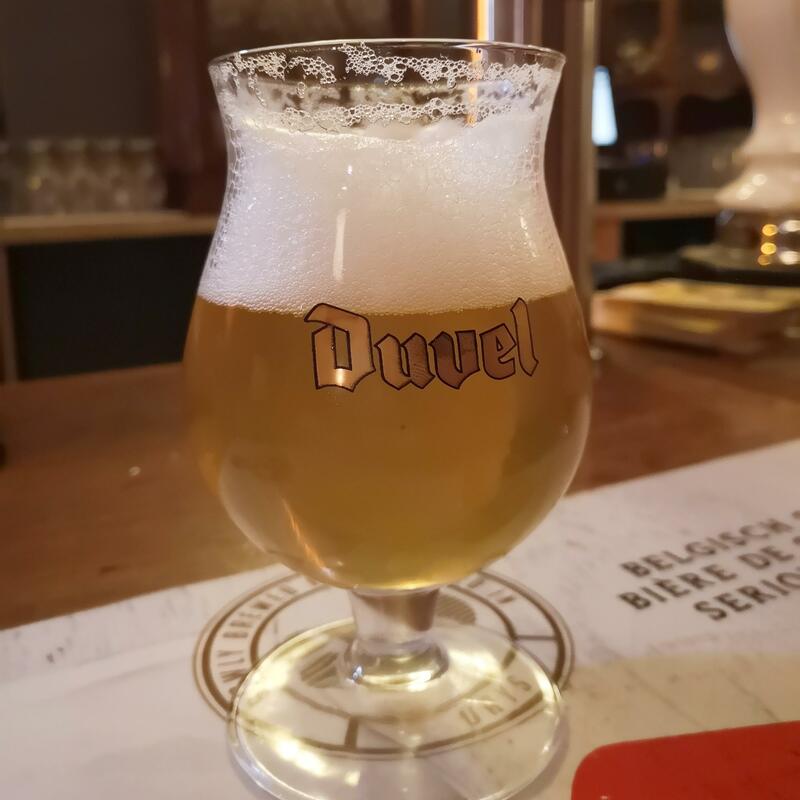 So if in my home town there’s a place that promises me a magical, secret place crammed with all manner of Belgian beers, continental ales and a few homespun favourites I’m going to be all over that. That’s exactly what the Cavern of a Curious Gnome is. 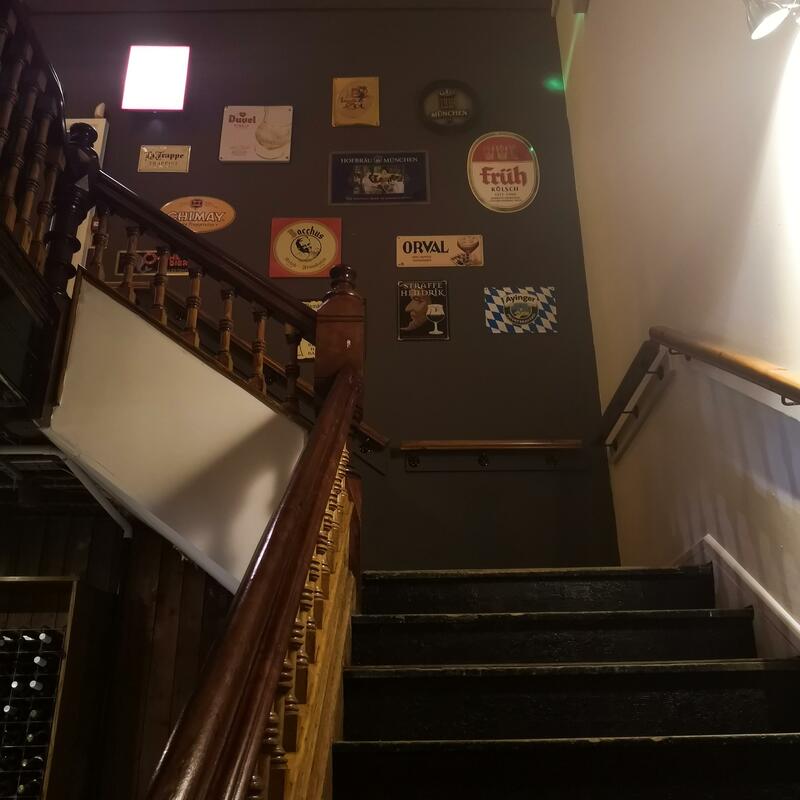 From its mushroom shaped bar stools to the high ceilings, somewhat questionable artwork and my personal favourite: a giant gnome sitting in the corner like it’s just your average day in a pub – this little gem transports you to a bar in Belgium and takes you on a magical ride. 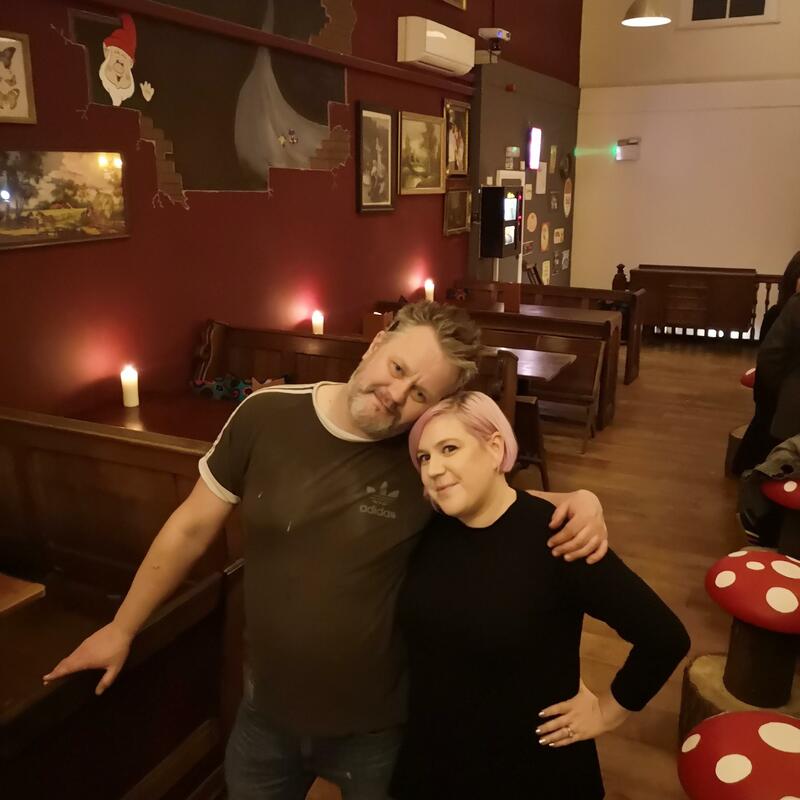 The mastermind behind this glorious little watering hole is Nev from Artichoke (in the pic above with yours truly) and he’s proper gone for it. Not just the decoration, mind, the beer lists as well. 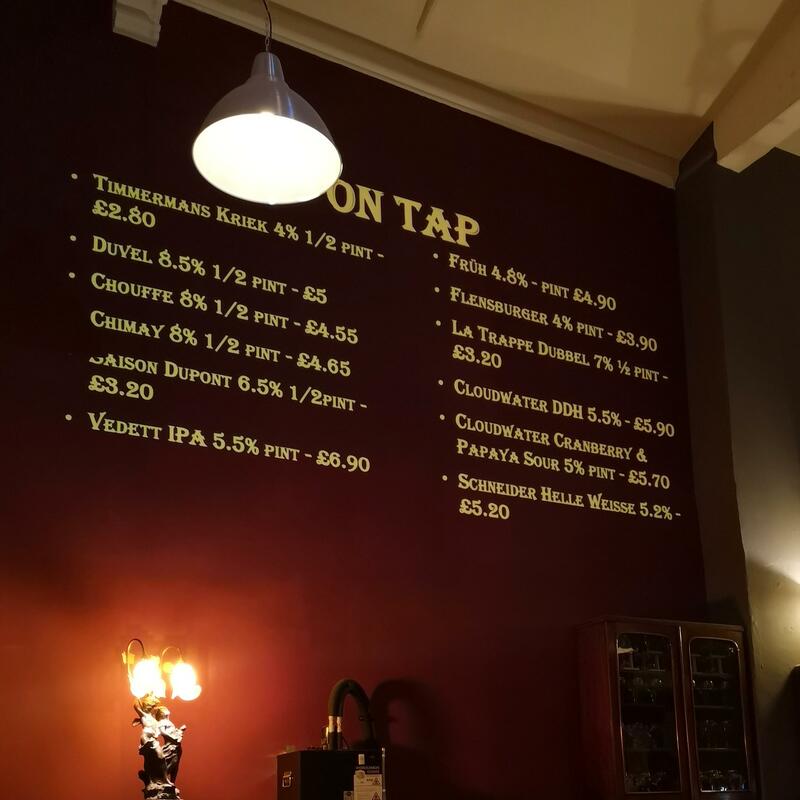 I don’t know a lot on places that can boast a nine page beer menu, and I don’t know anywhere (in Chester) with this kind of selection of all the things I fancy. 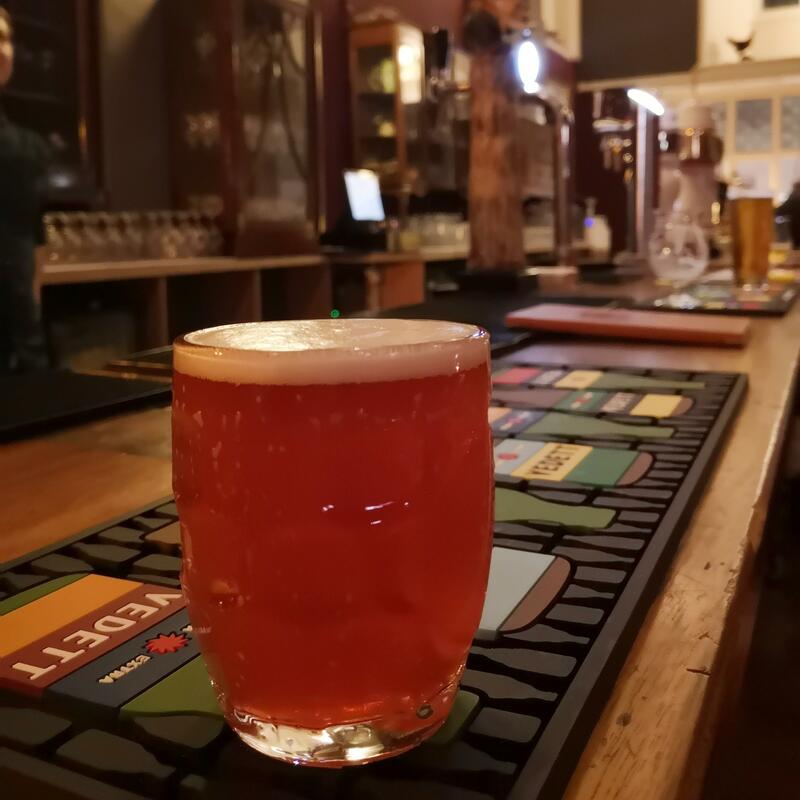 Of course there’s the taps and the rotating goodies from breweries like Salopian and Cloudwater making appearances, and you know what? Sometimes it’s nice to break a stream of Belgian ales with something super hoppy just to clear the palate. It’s a well-thought-out thing. I at first thought the beers were painted on the wall (in my defence I was rather merry at this point) but of course they aren’t, they’re projected on by magic (or a projector or whatever).